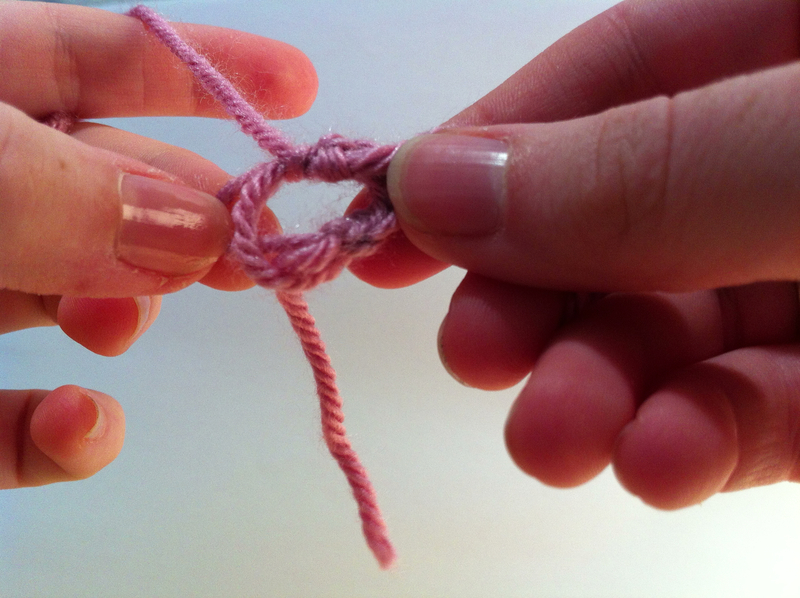 The magic ring (sometimes called a magic circle) is how you’ll start the majority of amigurumi pieces, so though it can be a bit frustrating to learn at the start, it’ll take you far. The majority of magic circles will have 6 single crochets worked into them to start, so these two stitches will kind of refer to each other. 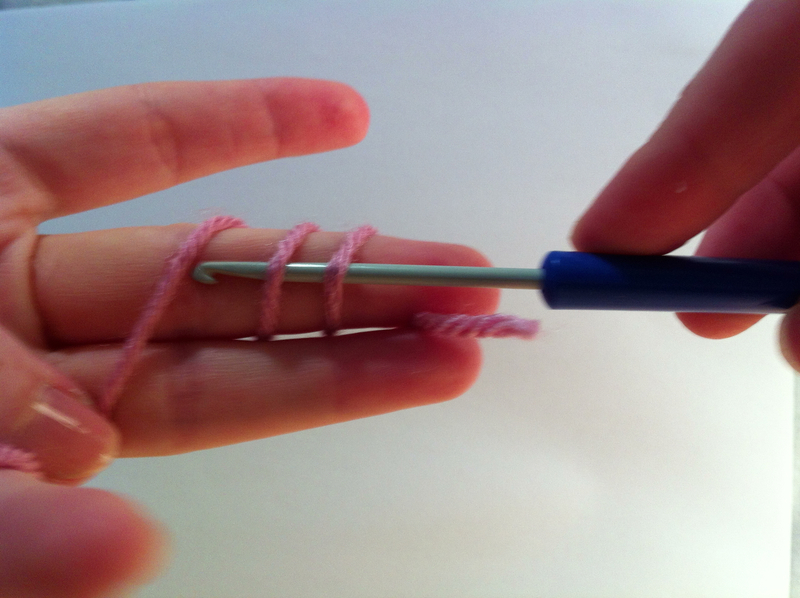 Wrap the yarn twice around your finger. Insert your hook under the first two loops. 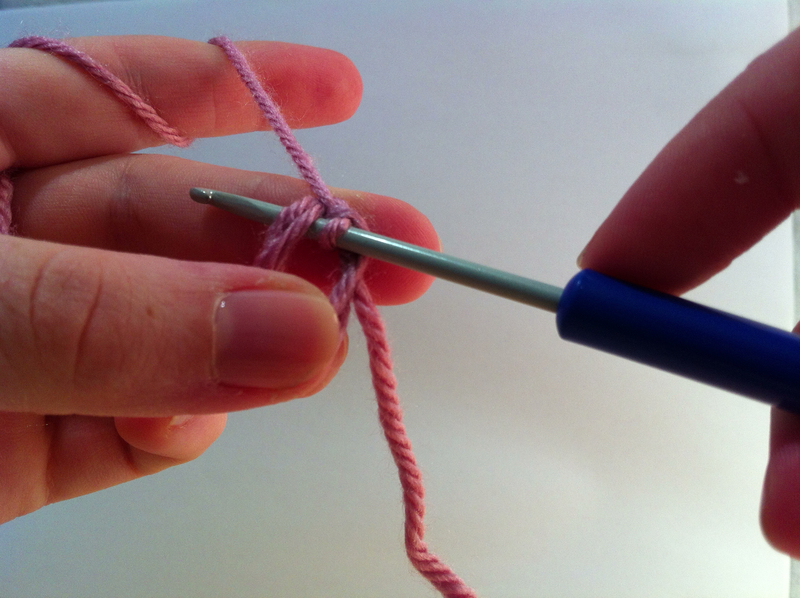 Grab the working yarn with your hook (the end attached to the ball) and pull this through both loops. 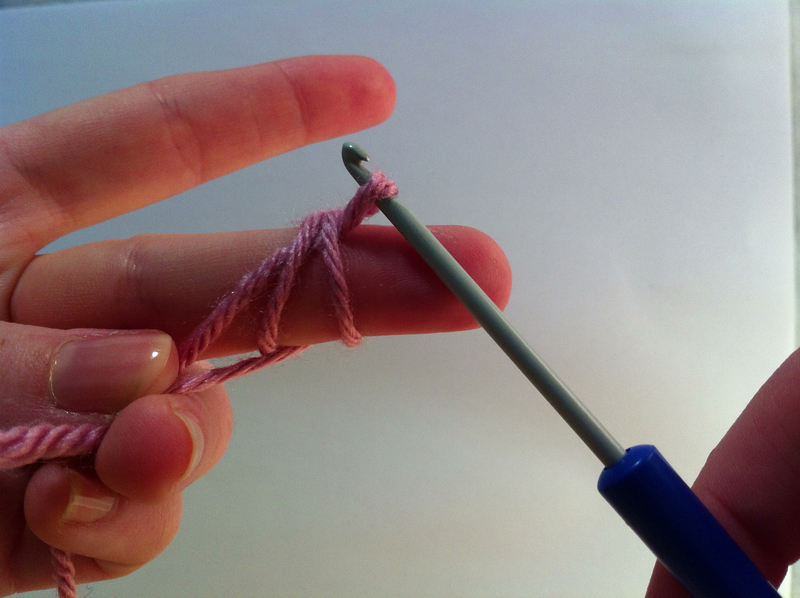 Carefully remove both loops from your finger, pinching the stitch you just finished. 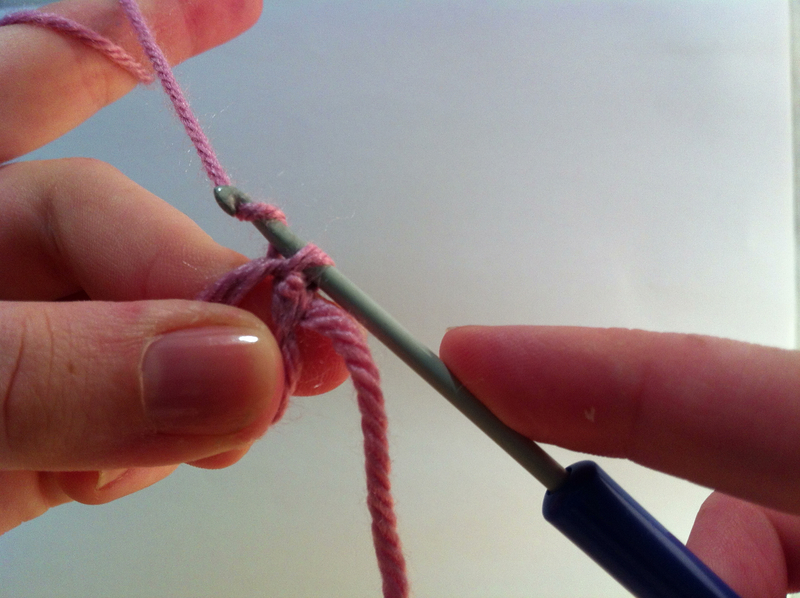 Yarn over, and pull through the loop on your hook (i.e. chain 1, or ch 1). 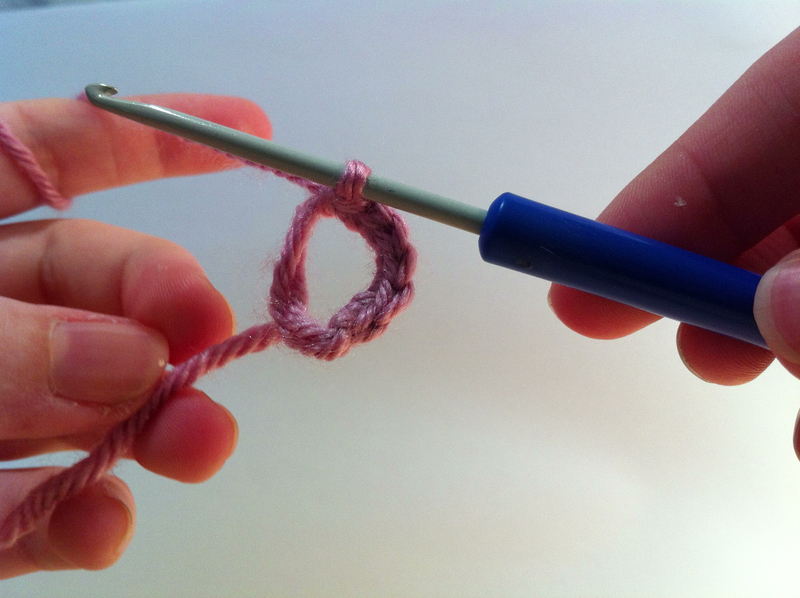 Now you’re ready to start your single crochets. 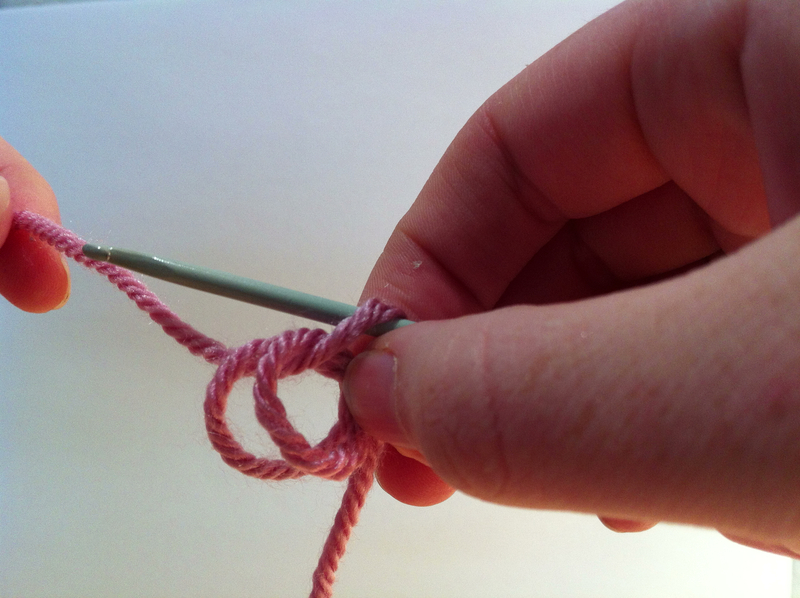 Insert your hook into the big loop, yarn over, and pull through both loops (ie. 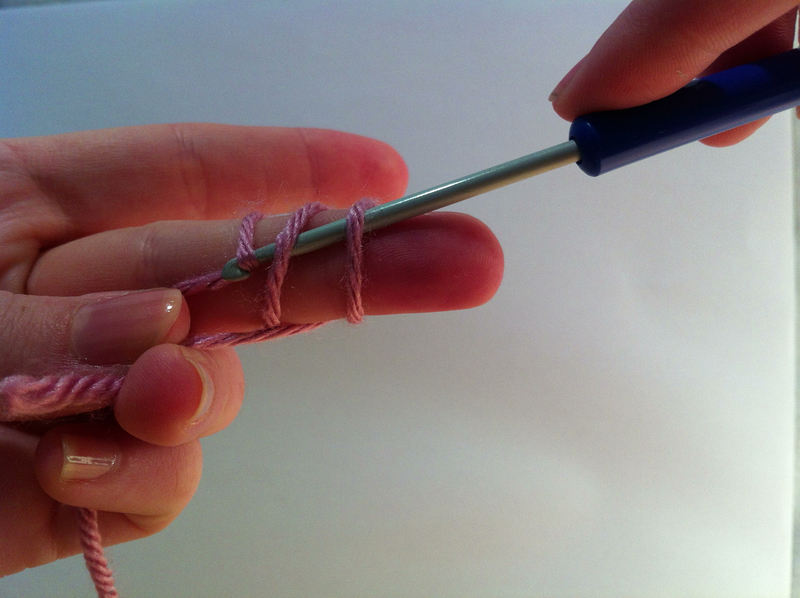 single crochet, or sc). Repeat this step as many times as stated for the magic ring. Most of the start with 6 sc, so that’s what’s demonstrated here. 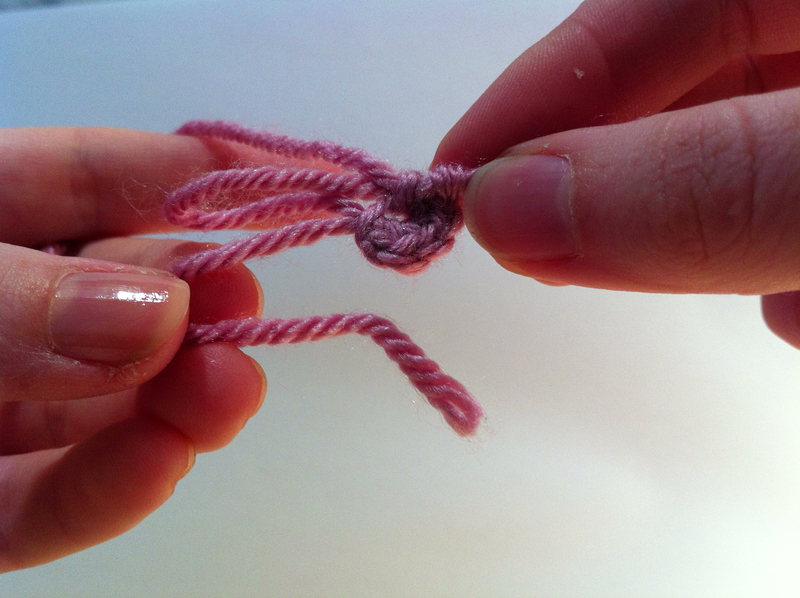 Gently pull at both of the pieces of yarn that made the original loop to see which one is loose (it will start to close the loop). 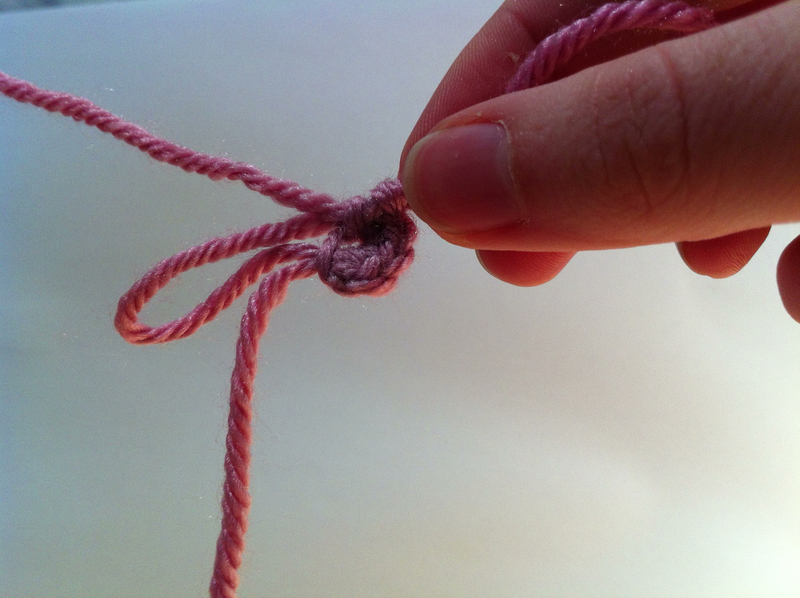 Once you’ve found it, pull the loose one tightly shut, until you have a small hole. 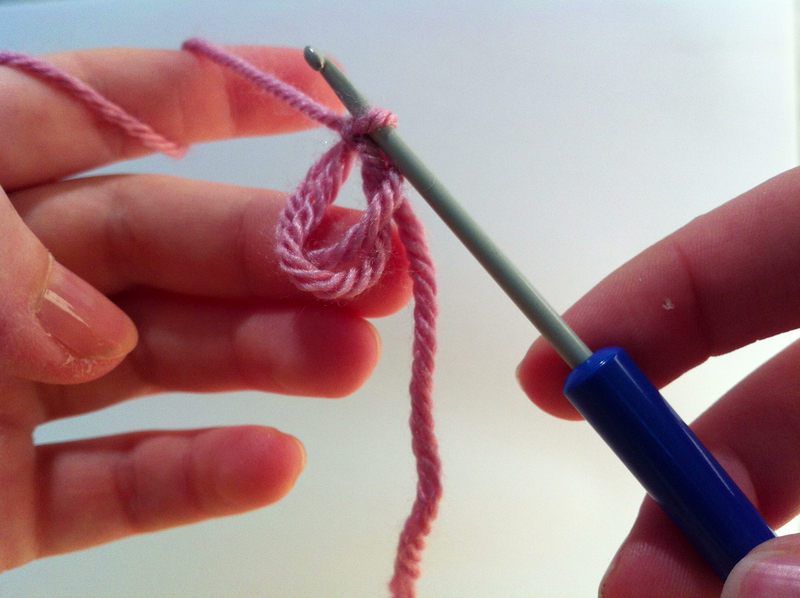 To close the remaining hole, pull the tail end of the yarn. There you have it! The magic ring. 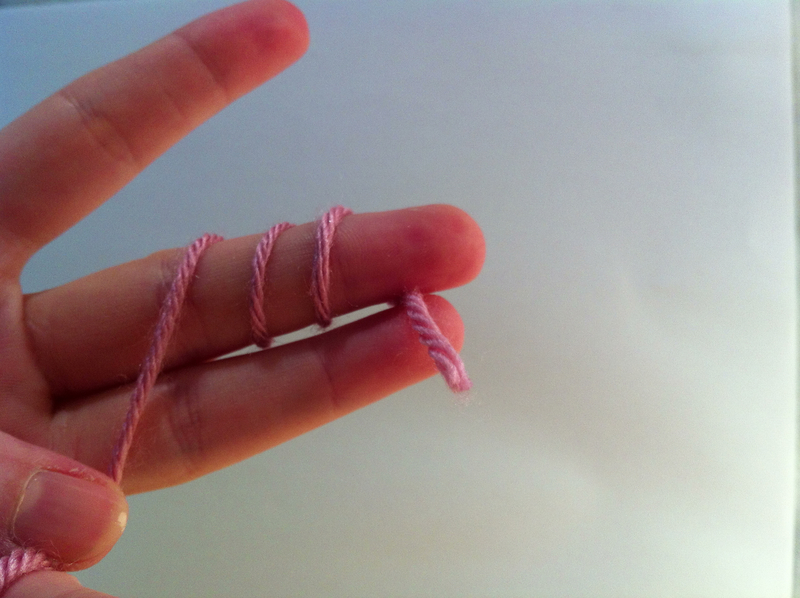 It can be very tricky to pick up the first few times (my first attempts were a disaster at least). Sometimes it helps to see it in action with a video – I learnt from this YouTube tutorial originally: http://www.youtube.com/watch?v=kvjYPFBP85c. 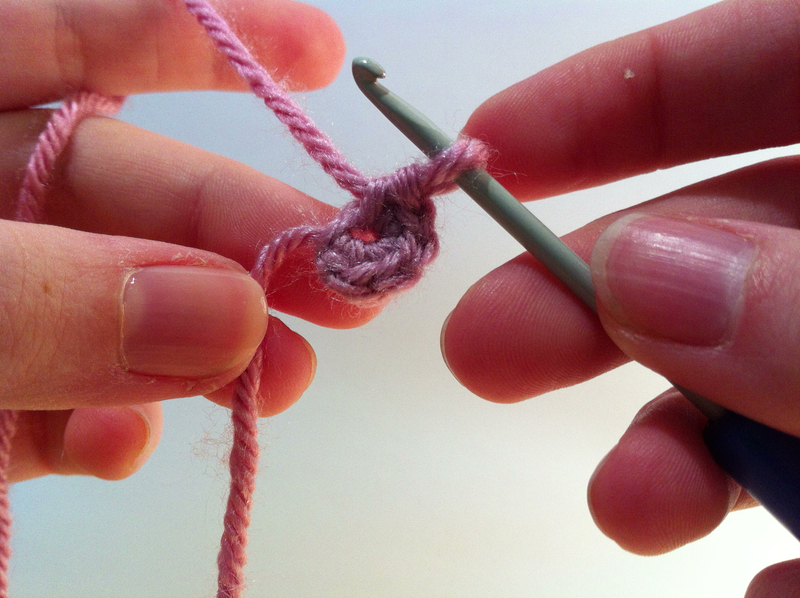 Another thing to note for beginners is to be careful how tight you make that first single crochet – once the circle’s been pulled closed it can be really tricky to work back into that first stitch for the second row.